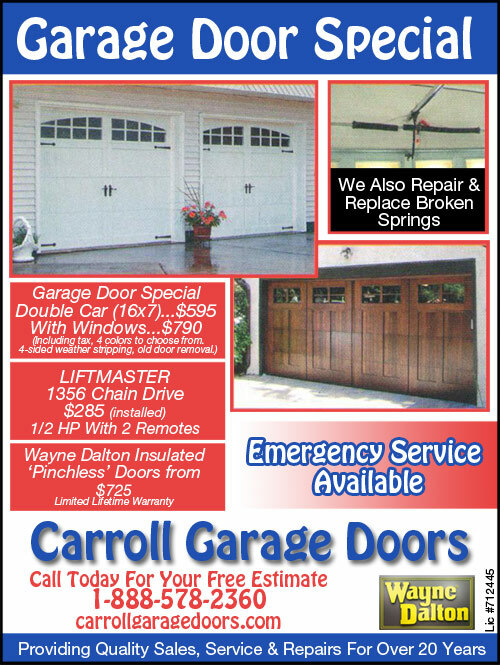 You can also get a custom look with the warranty and safety-testing benefits of a brand name product by purchasing one of our customized garage doors. 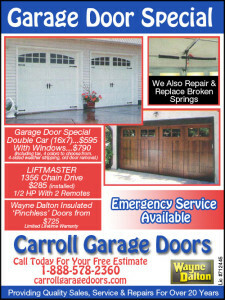 Customized garage doors are generally roll-up doors with your choice of specialty panel and window design. When choosing new garage doors in Porter Ranch CA, you’ll probably be equally concerned with aesthetics and functionality. We’ll be happy to help you browse our collection of doors and find the one whose color and design details will best complement the style of your home. Of course, we’ll never ask you to sacrifice performance for looks. We’ll make sure you get both. You may also be interested in other aspects of the door’s performance, like quiet operation and thick insulation. Depending on the age and condition of your existing garage door opener, you may need to replace it at the same time you replace your doors. We’ll help you choose a new opener too. When you trust Carroll Garage Doors to install your new garage doors in Porter Ranch CA, you can rest assured that they will be properly calibrated and prepared for years of quality performance. We’re so sure our technicians will do a superior job, we back installation with a warranty. When you buy new garage doors from us, we will rehang your old garage door openers to fit the new doors at no extra charge.